Members of the Roman Catholic Women Priests say the constant string of allegations against male priests is yet another sign the Church must let women and men with children be ordained. Though they've been excommunicated by the Vatican, a group of women is demanding changes in the Roman Catholic Church. Bishops with the Roman Catholic Women Priests are calling on Pope Francis to "establish a council to explore new structures for church leadership and order within the Roman Catholic Church." The call to action comes on the heels of last month's grand jury report out of Pennsylvania. It found that thousands of children were abused at the hands of hundreds of priests in that state. Either let women become priests or dismantle the Catholic Church. This will never end if you don’t allow women positions of leadership &amp; authority. "Men want to protect their children too, and if they're fathers, they can't be ordained either," explained Bouclin. "So we're saying you need married people as ministers of the Church, you need women in the church, to bring a different perspective, to change this system that has perpetuated itself largely through force and fear." 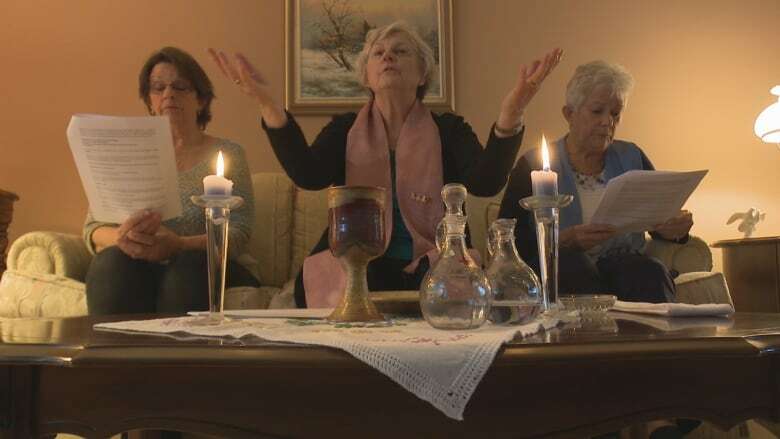 Bouclin, who is based in Sudbury, said the Roman Catholic Women Priests are essentially forced to the margins as an "underground" organization. She explained she runs small services and prayer circles, often out of her own home. "They've marginalized us, so we can't operate in the local parishes and such," noted Bouclin. "We've been accused of trying to have access to power, when what we are saying is, 'Look, we could serve.' There's a shortage of priests, we could do this work, we're qualified and we're willing, but there's this fear of change." "This is our Church too," she replied. "There's a lot worth keeping, but there's a lot that has to change. Rather than walk away, it's the hope of trying to salvage the good that can be." Bouclin added it's a mistake to believe that child abuse at the hands of priests hasn't happened in Canadian cities like Sudbury.